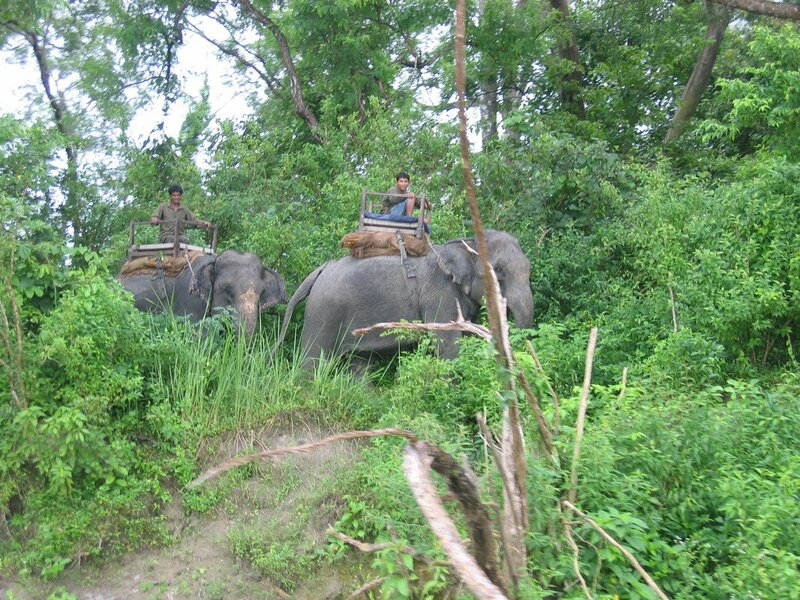 Since the end of the 19th century Chitwan - Heart of the Jungle — used to be a favorite hunting ground for Nepal’s ruling class during the winter seasons. Until the 1950s, the journey from Kathmandu to Nepal’s South was arduous as the area could only be reached by foot. Thus, in an area known as Four Mile Forest comfortable camps were set up for the feudal big game hunters and their entourage, where they stayed for a couple of months shooting hundreds of tigers, rhinoceroses, leopards and sloth bears. 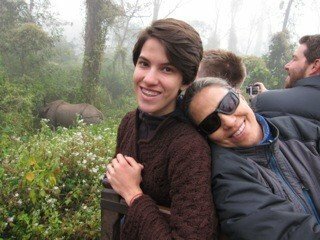 In 1950, Chitwan’s forest and grasslands extended over more than 2,600 km2 (1,000 sq mi) and was home to about 800 rhinos. 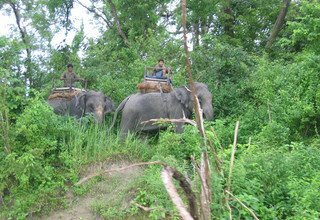 When poor farmers from the mid-hills moved to the Chitwan Valley in search of arable land, the area was subsequently opened for settlement, and poaching of wildlife became rampant. In 1957, the country&apos;s first conservation law inured to the protection of rhinos and their habitat. In 1959, Edwar Pritchard Gee undertook a survey of the area, recommended creation of a protected area north of the Rapti River and of a wildlife sanctuary south of the river for a trial period of ten years. After his subsequent survey of Chitwan in 1963, this time for both the Fauna Preservation Society and the International Union for Conservation of Nature, he recommended extension of the sanctuary to the south. 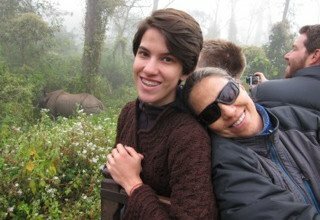 By the end of the 1960s, 70% of Chitwan’s jungles were cleared using DDT, thousands of people had settled there, and only 95 rhinos remained. 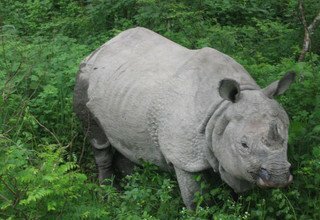 The dramatic decline of the rhino population and the extent of poaching prompted the government to institute the Gaida Gasti — a rhino reconnaissance patrol of 130 armed men and a network of guard posts all over Chitwan. 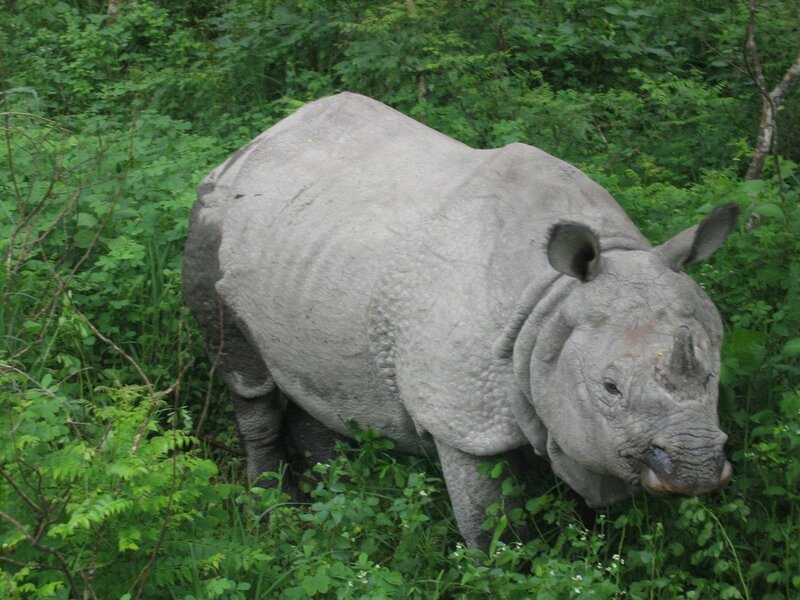 To prevent the extinction of rhinos the Chitwan National Park was gazetted in December 1970, with borders delineated the following year and established in 1973, initially encompassing an area of 544 km2 (210 sq mi). In 1977, the park was enlarged to its present area of 932 km2 (360 sq mi). In 1997, a bufferzone of 766.1 km2 (295.8 sq mi) was added to the north and west of the Narayani-Rapti river system, and between the south-eastern boundary of the park and the international border to India. The park’s headquarter is located in Kasara. Close-by the Gharial and Turtle Conservation Breeding Centres have been established. In 2008, a Vulture breeding centre was inaugurated aiming at holding up to 25 pairs of each of the two Gyps vultures’ species now critically endangered in Nepal - the Oriental white-backed vulture and the slender-billed vulture. Proceed to the airport and fly back to Kathmandu and transfer to your own Hotel. 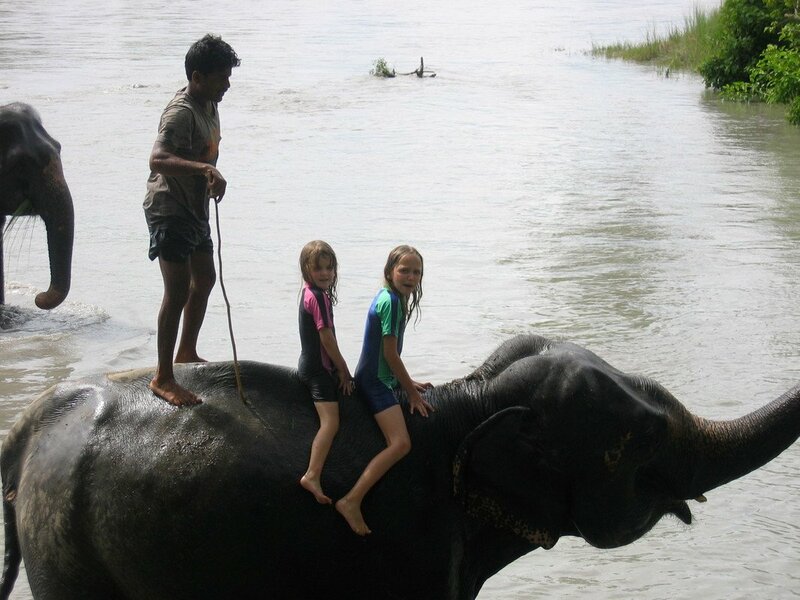 # Children below 10 years — 50% discount on the rates. # Children below 2 years — free of cost. P.S. Programs may somewhat vary according to change in season and are also subject to change in case of unforeseen circumstances. * Round trip flight ticket from Kathmandu-Bharatpur-Kathmandu and airport tax. * All ground transportation by private vehicle from and to airport/bus station. * Meals on full board (Breakfast, Lunch and Dinner with Tea, Coffee and Hot Water). * Accommodation in twin sharing basis at Hotel/Resort. 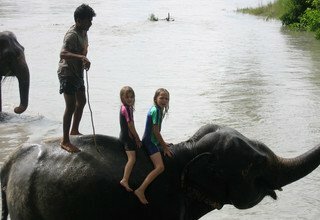 * All the Jungle Safari/Activities as per above mentioned itinerary/program. * All national park fees/entry permits. * English speaking Nature/Jungle guide. * Any meals and accommodation in Kathmandu. * Items and expenses of personal nature and gratuities. * Any kind of alcoholic drinks/beverage bill, cold drinks, laundry, phone call, internet.